Bhutan is a Buddhist Kingdom, set deep in South East Asia. 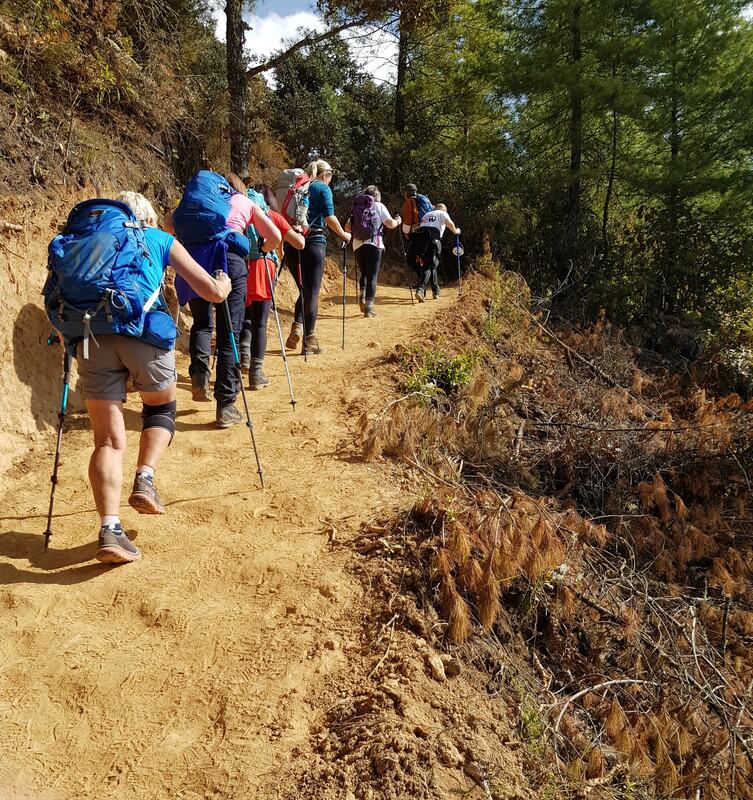 Vast Himalayan mountains stretch out across the remote and untouched landscape, bearing home to many precious and undisturbed trekking routes that make this beautiful part of the world the ultimate adventure. 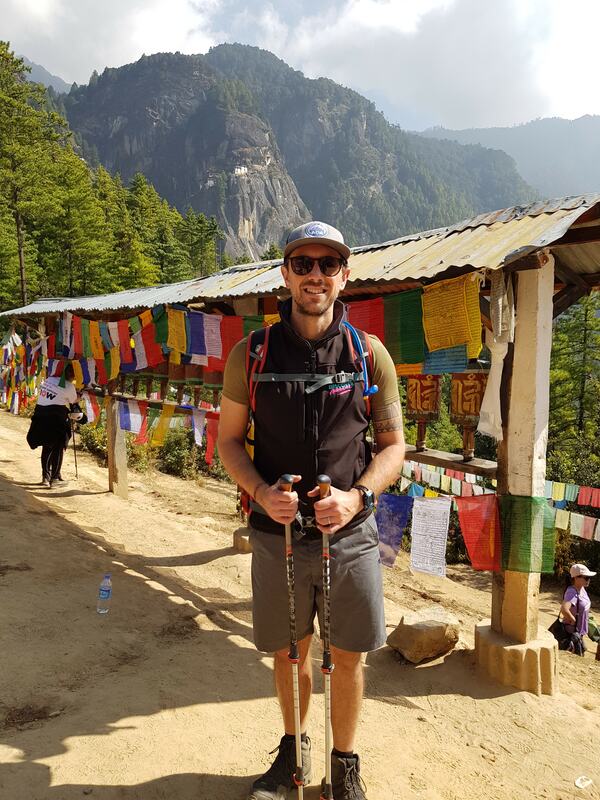 Dan, a member of the DA office team and outdoor-enthusiast, got the chance to experience this awesome challenge for himself and swapped the desk for the mountainous paths of Bhutan. Now that we have given him just a little bit of time to recover and reminisce about his incredible experience, we caught up with Dan to hear all about it! Dan, thanks for taking a moment to catch up on your adventure. Here's hoping the Bhutan blues haven't hit too hard! How did this trip compare to previous trekking adventures you've been on? It seems like it's really left a lasting mark on you! However, this is a challenge - there must have been some tough moments along the way. What did you find most challenging about this experience? It's a real team effort to make these remote experiences run smoothly and ensure our participants get the most out of their experience. Especially, when all the luxuries and technology are stripped back to the bare essentials. It's a really unusual experience that allows you to take a step away from your every day. While you were battling the cold and the altitude, how did you find the overall camping experience in such a remote location? It sounds like you were well-fuelled! Although, you definitely earnt it with the miles you were clocking each day. What motivated you to keep going when the going got tough? It's funny how an experience like this brings strangers together almost instantly! That's why we have so many solo travellers join us on our adventures and come away with friends for life. 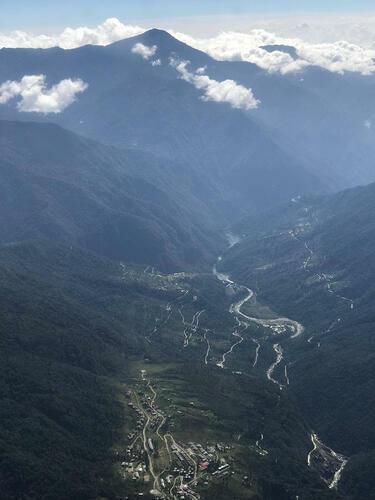 Tell us about your favourite moment of trekking through the landscapes of Bhutan! 'That is really hard to pick, I have so many favourite moments. It was probably reaching Phume La Pass at 4210 m, which was our highest point of the challenge. 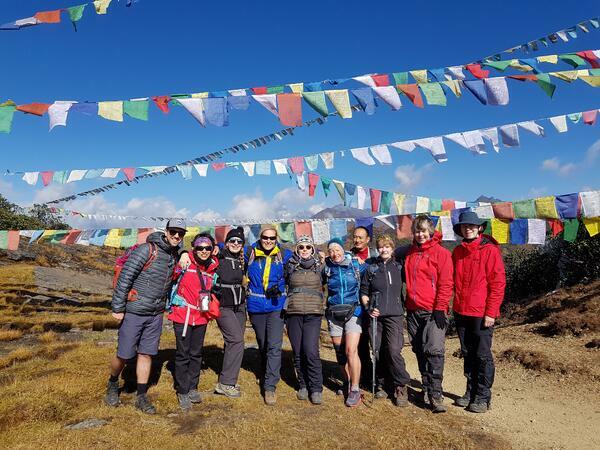 The landscape was just amazing with prayer flags overhead, blue skies which meant outstanding views of Mt Chomolhari (7314 m) in the distance and lots of smiley participants everywhere I looked. The place was just amazing and something I will never forget! It sounds incredible! What an absolute high - in all manner of the sense. And you've got some amazing pictures of the views. 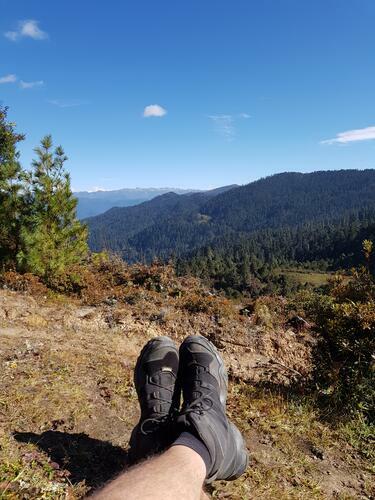 We definitely have itchy feet looking over your adventure shots! In the lead up to the challenge, how did you train and prepare yourself for this trip? Wise words! Were there any items you were super thankful that you had packed? Very true. It's all about the layers! 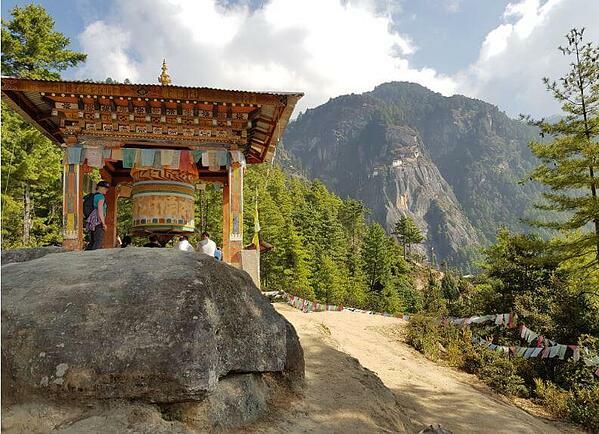 Bhutan is an extraordinary country, very unlike the UK, what was your favourite thing about the Bhutanese culture? In Bhutan, prosperity is measured by its' citizen's happiness levels, otherwise known as 'Gross National Happiness'. We can see why they've got such a big smile on their face with the breathtaking views that surround them. We're not sure we'd be as brave as to take on the Bhutanese chilli dishes but we are definitely impressed! Bhutan is known to be worlds away in terms of technology, what was it like being away from built-up civilisation and fancy technology? It's a unique opportunity to take a step away from the hustle and bustle of life and really let go of everyday stresses. It allows you to truly immerse yourself in your surroundings and live the authentic adventure. Did you learn anything while you were out there? It's definitely worth trying to pick up some of the lingo, and the locals are sure to appreciate your efforts - however, feeble or successful! Add Bhutan to the bucket list! 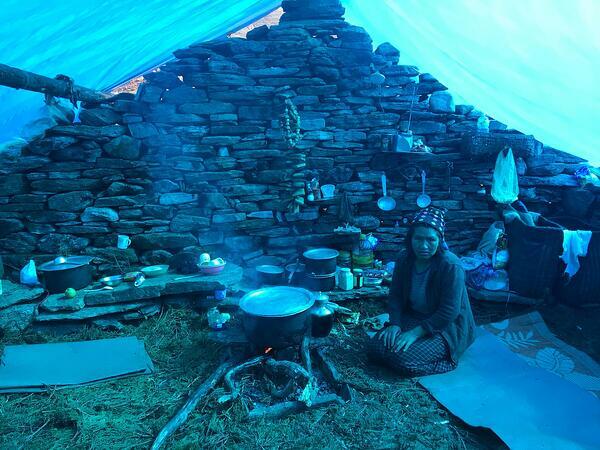 So, tell us what makes the Bhutan Trek a must on the bucket list? 'There are not many places in Asia that you can go which isn’t now overrun by tourism. Bhutan is one of them. So much of the country is untouched, and I really hope it stays that way. 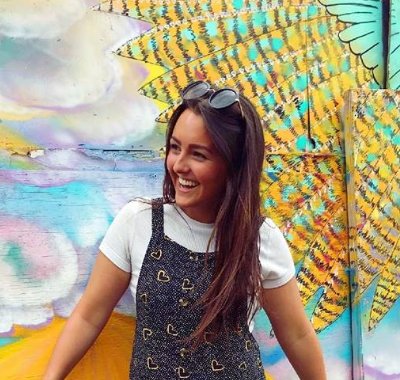 Well you've definitely persuaded us - pass us our passport! Thanks Dan, what an epic adventure. You might have caught the mini takeover over on Instagram and checked out some of the breathtaking views. 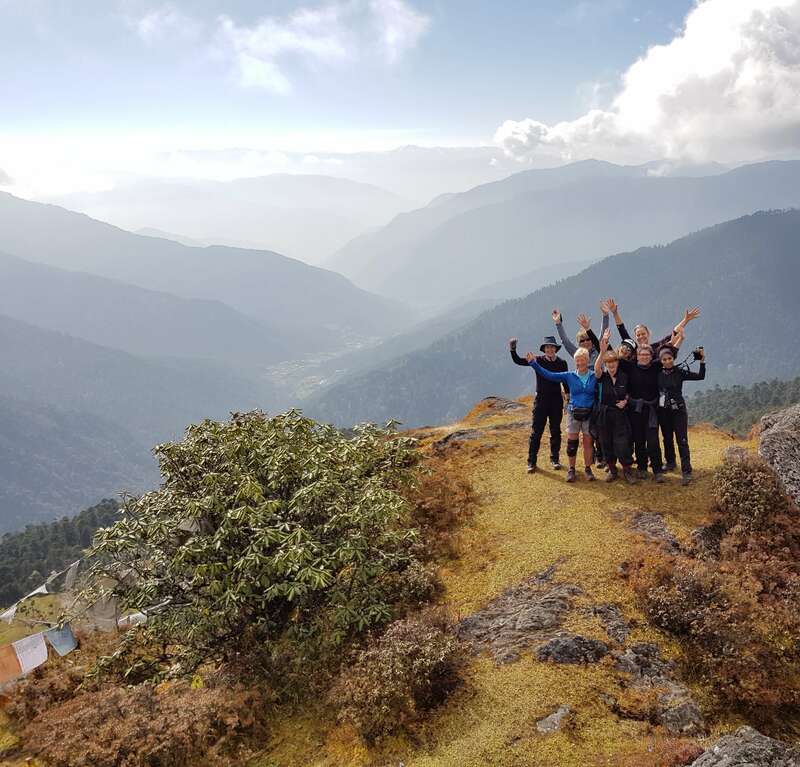 If you're still hungry for more, why not check out our challenge page and see if Bhutan is on the to-do list in the new year. We have a feeling it's a decision you won't regret!